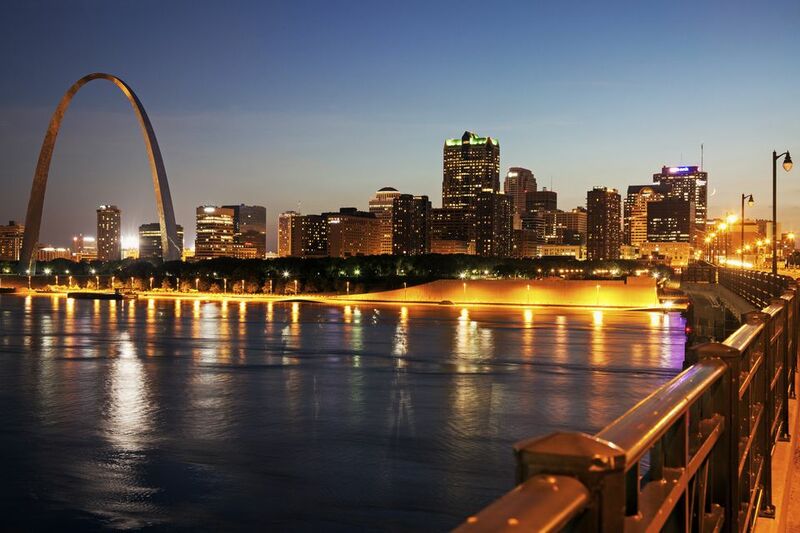 When it comes to dining out, St. Louis has many restaurants that are great for a romantic evening. You can make reservations at one of the top eateries in town, or try a cozy neighborhood cafe. Here are top picks for romantic restaurants in St. Louis. The Sidney Street Cafe is located in a century old building in the Benton Park neighborhood south of downtown St. Louis. The candlelight, brick walls and hardwood floors give it a casual vibe, but the food is quite elegant. Try the steak wasabi, filet béarnaise or roasted sea scallops for something truly special. The menu changes with the seasons so there's always something new no matter how many times you've been before. Trattoria Marcella is always at the top of local "best restaurant" lists. This South City favorite features fine Italian food and wine. The service is always excellent, and the food never disappoints. Try the Chicken and Spinach Cannelloni or Osso Buco for a truly memorable meal. Bailey's Chocolate Bar in Lafayette Square has a decadent feel to it. From the rich red walls and plush couches to the impressive chocolate martinis and desserts, Bailey's is the place to go when you want to indulge. The restaurant serves small plates and sandwiches. Then for dessert, try the Lover's Plate with mini brownies, cheesecake and salted caramel ice cream. St. Louis' Hill neighborhood is full of so many great restaurants that it's hard to pick just one. But if you're looking for a romantic dinner, make a reservation at Dominic's. Dominic's has been a favorite on the Hill for nearly 50 years. It serves up gourmet Italian cuisine in an elegant, old-world dining room. There is also a newer restaurant, Dominic's Trattoria, in Clayton. Vin de Set is rooftop dining at its finest. The restaurant near downtown St. Louis has a warm, inviting atmosphere with exposed brick walls and high ceilings, but the real standout is the rooftop deck with its outdoor ambiance and views of the surrounding city. Vin de Set specializes in French dishes like steak and frites, crepes and duck confit. Russell's is a neighborhood cafe in south St. Louis with upscale food, good wine and great service. In the evenings, tables are lit by candlelight for an intimate dining experience. Russell's serves hearty American fare like chicken, steak and pork chops. It's also known for its delicious, hand-crafted desserts. Aya Sofia is a great choice for Turkish and Middle Eastern fare. The restaurant is decorated in rich colors and fabrics. It features a menu of traditional dishes like hummus, kabobs, lamb and beef. There is also a nice selection of vegetarian options and a wine list with vintages from around the world. If your sweetheart has a sweet tooth, Cyrano's is the perfect place. Sure you can get a meal at this Webster Groves cafe, but the real reason to come is for the desserts. Cyrano's desserts are so big, they are great for sharing. Order the flaming Cherries Jubilee or Bananas Cyrano for a table side show that will literally flame your desires. When you want to impress your date, Tony's in downtown St. Louis is the place to go. Tony's is St. Louis' most celebrated and award-winning restaurant. It's known for its incredible service, delicious Italian food and extensive wine list. Tony's is an expensive treat, but will be a meal you always remember. The Melting Pot is a chain restaurant, but let's not hold that against it. After all, there is something very romantic about sharing a chocolate fondue with the one you love. The Melting Pot isn't just about chocolate though. There are also a wide variety of cheese and main course fondues.